During the last 2 years I’ve been trying out a lot of things and took on quite a few projects to explore different opportunities. One of these side projects is Travel Hacking and if you’re a loyal reader of this blog, you probably remember me writing about it before. After reading the Frequent Flyer Master eBook* from Chris Guillebeau I started out to give this a try and just recently treated my wife and daughter to a free 3-Day trip to Bermuda. 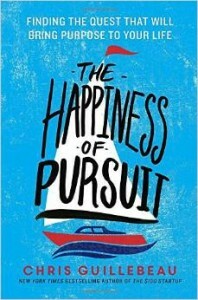 Speaking of Chris Guillebeau, he just released his brand new book “The Happiness of Pursuit“* and I got 3 copies from Chris, which I will give away at the end of this post. So, let me tell you exactly how my travel hacking journey went leading up to the Bermuda trip and what I did to make it happen. If you’re new to the idea of travel hacking, I suggest you start with reading this article, that I wrote a few months ago. After learning the travel hacking process I started to sign up for different credit cards with the intent to get the insanely big sign up bonuses that banks are throwing at new customers. That’s by far the fastest way to collect huge amounts of frequent flyer miles or points. With the right strategy in place and the ability to handle all those lines of credit responsively, this can be pretty lucrative. One of the first credit cards we signed up for to accomplish our goal (Bermuda) was the US Airways card, which gave us 40,000 miles after making our first purchase. It didn’t matter how big of a purchase it was. You could have bought a pack of chewing gum to get the sign up bonus and the annual fee was waived for the first year (Note: after US Airways merged with American Airlines the annual fee is not being waived anymore). Along with the bonus miles we got 2 companion passes, which means we can buy 2 tickets for only $100 each after we paid for one flight in full. We already took advantage of these passes for a trip to Fort Lauderdale earlier this year. As an additional bonus, US Airways credit card holders pay 5,000 miles less on award flights, so instead of 35,000 miles to Bermuda we only needed 30,000 for my wife (the card holder). So, the first ticket to Bermuda was covered by the miles we got from the US Airways credit card, but we’re a family of 3. We had to get 2 more tickets taken care of as well as a place to stay in Bermuda. And hotels in Bermuda are expensive!! We’ve had the Chase Freedom card for a while (no annual fee ever), so it only made sense to sign up for the Chase Sapphire Preferred for another 40,000 miles welcome bonus. The beauty of this card is, that I can combine the points from my Chase Freedom card with my Sapphire card and then transfer it to select airlines and hotels. You can also combine points with your spouses accounts, in case you both signed up for cards and would like to merge the points. One thing I learned through the miles and points game is that you can book award flights not only for the airline you have the miles with, but also with airlines that are in the same alliance. There are two major alliances out there. Star Alliance (Lufthansa, United Airlines, etc. and US Airways until 3/31/2014) and OneWorld with airlines like American Airlines, British Airways and now US Airways after they’ve merged with American Airlines. That makes award flights a lot more interesting and opens up many more opportunities for creative award seat booking. Back to the Chase Sapphire card. So, I had 40,000 miles from the Sapphire card that was good for another ticket. Unfortunately I couldn’t transfer the Sapphire miles directly to US Airways, but what I could do, is to transfer the points to my United Airlines frequent flyer account and then just book a US Airways flight with my United miles. Back then they were still both in the Star Alliance. Today this wouldn’t work anymore, because you can only book rewards with partners of the same alliance. However, I would just move my points to British Airways and then book US Airways awards tickets through them. They’re in the same alliance. So now I had 40,000 United miles and 2 more tickets to book. Each ticket if booked through United was 35,000 miles. To come up with the miles for the third ticket, I signed up for the United Airlines credit card for another 30,000 miles. I then had 70,000 miles total to spend on United or their partners. Of course my family didn’t want to split up and travel with different airlines to Bermuda. So here’s what we did. First, we booked a flight for my wife through US Airways and paid with her US Airways miles (30,000 miles + $98.30 in fees and taxes) that we got from signing her up for the US Airways credit card. Then, only a couple minutes later we pulled up the United Airlines website and booked the same flight for me and my daughter on US Airways, but paid with my United miles (70,000 miles + $126.60 in fees and taxes). How is it a free trip if you still have to pay for fees & taxes? Every time you book an award flight, the airline adds extra charges (taxes & fees), that you cannot pay with miles and just have to swallow. So a free award flight is usually not 100% free. But there’s even a way to take care of these charges. We also signed up for our favorite card to date with a $400 sign up bonus. One that we are actually going to pay the annual fee ($89) for in the 2nd year (1st year is waived), because it gives us 2% cash back on EVERYTHING. The card is the Barclaycard Arrival Plus and we still use it all the time. Now, this is not a card to earn miles, but you’ll earn cash back. And if you use your cashback to reimburse yourself for a travel expense, Barclay is even giving you a 10% discount: That means you’re getting 2.2 cents back per dollar spent. The cool thing is, that fees and taxes of an airline ticket is considered a travel expense. So guess how we paid for the $224.90 in taxes and fees for the award flights to Bermuda? Yes! We reimbursed ourselves for it with our Arrival card cashback. We ended up not spending a dime for all 3 tickets out of our own pocket. It was all covered by sign up bonuses from credit cards. Last but not least, we needed a place to stay and after looking through several hotel credit card offers we found one from Fairmont – a high class hotel chain. They offered 2 free nights in any of their hotels worldwide, if you sign up for their credit card and meet the minimum spend of $1,000 within 3 months. Annual fee waived the first year! Before we signed up we made sure that the Fairmont Southampton Hotel in Bermuda would honor our free certificates, and they did. This type of hotel usually charges $400 a night. And we got 2 nights for free just for signing up for their credit card. That’s a $800 sign up bonus! To recap, we earned miles by signing up for 3 different credit cards and creative booking through partner airlines to get all 3 of us to Bermuda for free. We also got 2 free nights through the Fairmont credit card and some money to spend from the Barclaycard Arrival Plus. That’s 5 new credit cards total and all of them waived their annual fee during the first year. If we would have paid for our flights and this hotel out of our own pocket, it would have been about $1,700 in airfare and $800 for two nights at the luxurious Fairmont Southampton. $2,500 total and all we had to do is sign up for a bunch of cards and meet the initial spending limit with our daily purchases. And we still have a lot of miles and cashback left to spend on other family trips. Almost all of the good credit cards with huge sign up bonuses charge an annual fee, but a lot of them waive this fee in the first year. So you have a whole year to take advantage of it before the fee kicks in. Guess what we’re going to do before they charge the annual fee for the 2nd year? Yes, we’re going to call them and first see if they would waive it again, and if they’re not, we just cancel the card. Sometimes they cut the fee in half or give you a lot of bonus miles if you don’t cancel. I decide on a case by case basis what I do with such an offer, depending on how much I like the benefits of a card. US Airways offered us to cut their fee in half plus an additional 10,000 miles, if we keep our account open, which we did. The 10,000 miles alone are worth over $100 bucks in airline tickets, so that was a no-brainer. We’re going to cancel most of the cards we signed up for to get the free Bermuda trip, before the annual fees are being charged. Except one, the Barclaycard Arrival Plus, just because we use it all the time and easily make up for the $89 annual fee with all the points we are earning with it throughout the year. 2 points per dollar in every category adds up quickly. How do all these credit cards affect the FICO score? That was my main concern before I started learning about travel hacking. But let me tell you that: After signing up for multiple cards during the last year, sometimes even 2 cards at a time, my FICO score has improved from 790 to 810. It ony gets small temporary hits right after signing up for a new credit card, but recovers quickly. My wife and I also make sure to immediately set up automatic payments as soon as a new card gets activated and we pay in full every month. This makes sure that we won’t hurt our credit history by missing a payment. How to meet all these spending limits? Every card with great sign up bonus comes with a certain spending limit in order to qualify for that bonus. That means you have to spend a certain amount within a certain time. For example spend $3,000 within the first 3 months after activating the card. Or make any purchase within the first 2 months. Sometimes it can be as much as $5,000 within 6 months. My wife and I never spend money on anything that we don’t need or wouldn’t usually spend money on, just to get the sign up bonus. The secret to meet these limits is to start using the new cards for everything you pay on a daily basis: Groceries, dining, utility bills, TV, phone, internet, car payments… whatever you have to pay, use the card for it unless it comes with a hefty convenience fee. With some detours you can even pay your mortgage with credit cards without having to pay the convenience fee. And if you’re cutting it close and still need to spend some money to qualify for the bonus, you can buy a bunch of gift cards for stores that you usually shop in or restaurants you go to. These can be gift cards in stores or discounted gift cards online*. Please keep in mind, that this whole process took us about a year. We did not want to rush it and we were careful not to sign up for too many cards at a time, because then it’s just more difficult to meet the spending limit with everyday purchases. So we took it fairly slow and kept collecting miles and cashback until we had enough to put them to good use. How was the trip to Bermuda? After all this information on how we went on the trip, let me share with you, that we had an awesome time in Bermuda. Our private hotel beach was right next to the world famous Horseshoe Bay with lots of rock formations to climb on. My daughter had a blast and so did my wife and I. We also saw the Crystal Caves and had some very good eats. The hotel was very luxurious and we even got a very large suite with balcony and ocean view. For us it couldn’t have gone any better and we would have loved to stay a little longer. Time to give away some books. Thanks again to Chris Guillebeau for sending me so many copies of his brand new book! 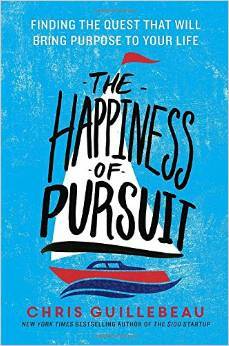 I’m going to give away 3 hardcover books of “The Happiness of Pursuit“. Check out Amazon* to see if you would enjoy reading it. To be eligible to win you need a U.S. mailing address! Like my Facebook page AND share the Book Giveaway post that you’ll find on my Facebook wall. I’ll pick one person who liked and shared who will win a copy of the book The Happiness of Pursuit after the drawing closes at 10:00 pm Eastern Time on October 5, 2014 (Sunday). 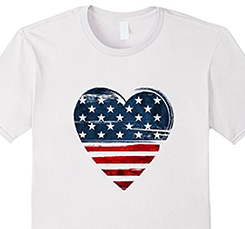 Follow Live Work Travel USA on twitter, and tweet ONCE to @LWTusa and tell me what makes you happy. You have to follow @LWTusa to be eligible. Don’t forget to include the hashtag “#BookGiveaway”. I’ll pick 1 tweeter who will win another copy of the book The Happiness of Pursuit after the drawing closes at 10:00 pm Eastern Time on October 5, 2014 (Sunday). Sign up for my newsletter. 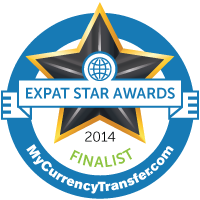 You even get free access to my eBooks “Ultimate USA Tipping Guide” and “Expat Cuisine“. Good news for all existing email subscribers! You are already entered into the contest and don’t have to subscribe again. I’ll pick one person on my email subscriber list, who will win another copy of the book The Happiness of Pursuit after the drawing closes at 10:00 pm Eastern Time on October 5, 2014 (Sunday). If you would like to double or even triple your chances to win, just do 2 or all of the above.